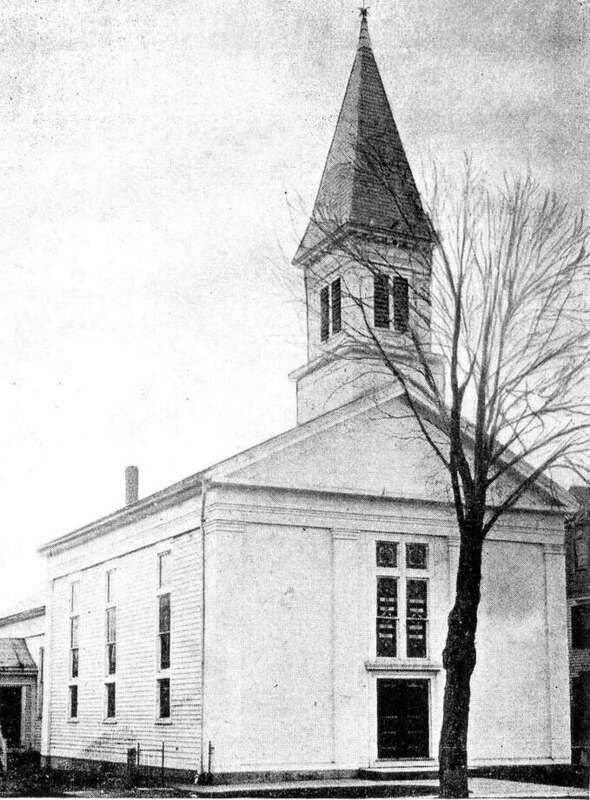 The Methodist Church in New Milford stands along Elm Street in the postcard photograph by P.M. Cassedy from the early 20th century. The church called Elm Street home until the 1960s when it moved as the United Methodist Church to its present location on Route 7. Next door to the Methodist Church during New Milford’s early 20th century days was the town’s Roman Catholic church, St. Francis Xavier, a parish that moved to its present home along Chestnutland Road. If you have a “Way Back When” photograph you’d like to share, contact Deborah Rose at drose@newstimes.com or 860-355-7324. The Methodist Church in New Milford stands along Elm Street in the postcard photographed by P.M. Cassedy from the early 20th century. The church called Elm Street home until the 1960s when it moved as the United Methodist Church to its present location on Route 7. Next door to the Methodist Church during New Milford’s early 20th century days was the town’s Roman Catholic church, St. Francis Xavier, a parish that moved to its present home along Chestnutland Road. If you have a “Way Back When” photograph you’d like to share, contact Deborah Rose at drose@newstimes.com or 860-355-7324.